Tobacco farms of the 1800’s are beautiful pieces of American history, and they were built with great attention to longevity. The Barnwood that resulted from these buildings is timeless, and as tobacco farms shut down, Fireside rescues the barnwood and carefully treats the wood and repurposes to create all-American furniture. The barnwood used to create the Barnwood bar is dark, deep and authentic, so Fireside lets the natural beauty prevail. 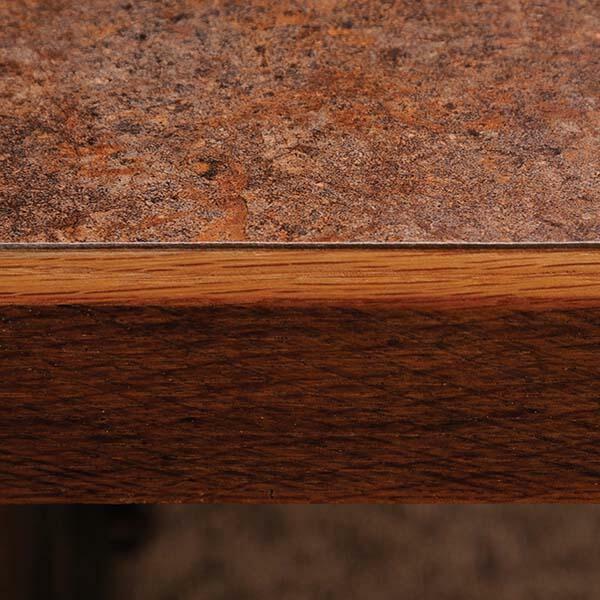 The wood is treated only with a clear coating to preserve its luster, not cover it up. Each bar is handcrafted for accuracy and maximum attractiveness. 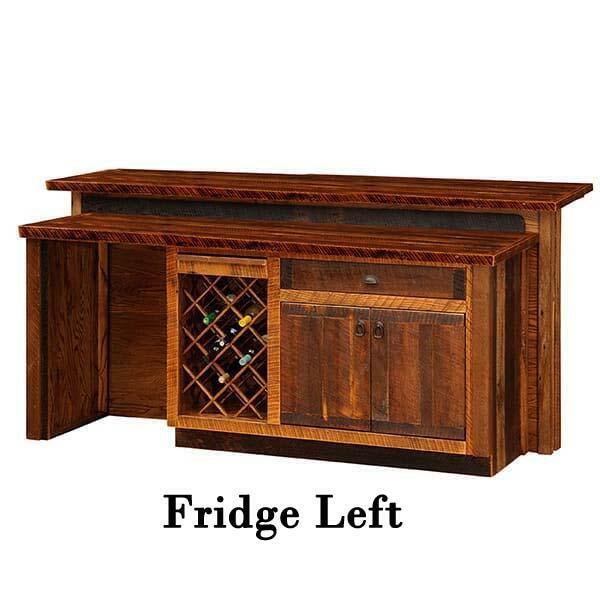 The Barwood bar features a wine rack, a convenient cutout for a refrigerator, ample storage including drawer space, cupboard space and shelving, plus a built-in cutting board and space for preparation of drinks and food. The front of the bar features about 7 feet of service space and a convenient footrest, and a classic barn design. 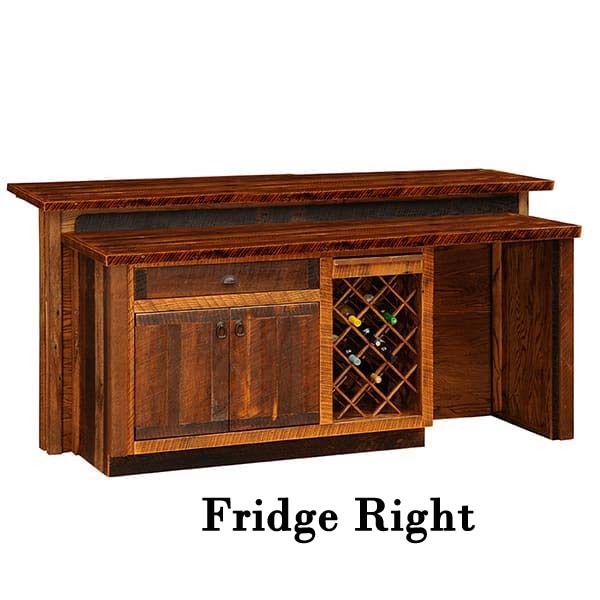 A home bar is more than just somewhere to store and serve drinks. 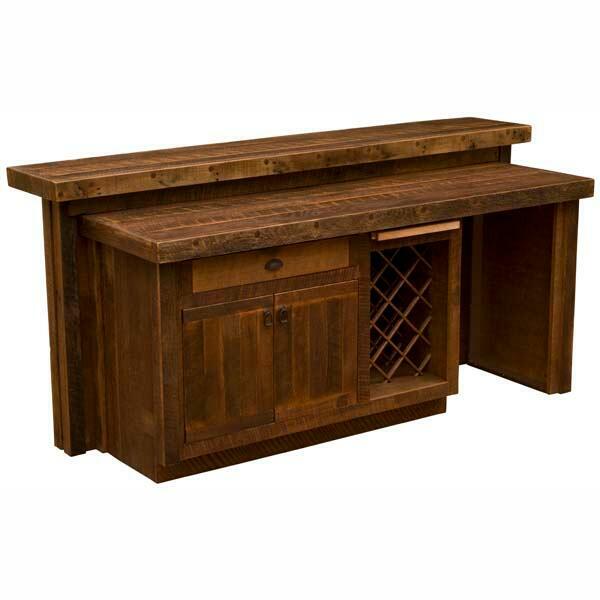 A home bar becomes a gathering place in your home, and a fixture that should not be taken lightly. 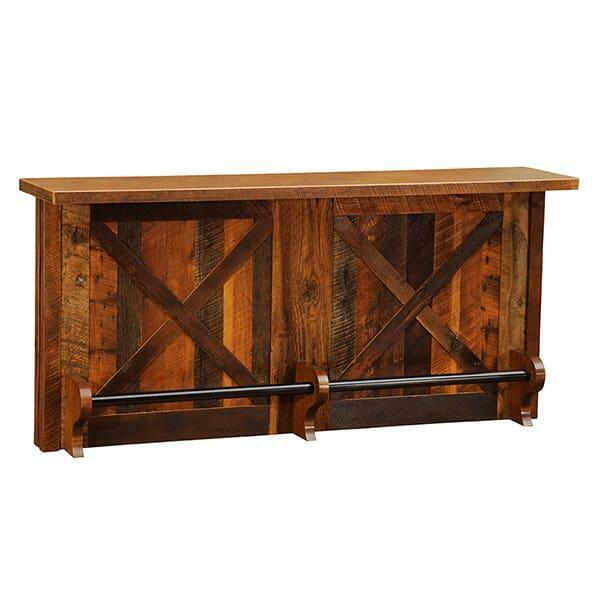 Is the Barnwood Bar by Fireside right for you? NOTE - These bars are hand made and no two bars are alike. Wood finishes, grains, textures, etc. may vary.